KENYA – Local sugar confectionery firms have lost US$1.34 million in export earnings in the six months ended June, reflecting the impact of trade war between Kenya and Tanzania, reports Business Daily. 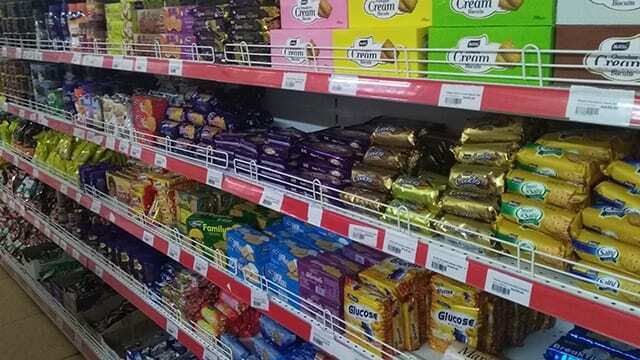 According to Kenya National Bureau of Statistics (KNBS), earnings from sugar confectionery that is, sweets, biscuits and chocolate fell to US$23.57 million from US$24.92 million recorded in the same period last year. Uganda and Tanzania imposed a 25% on sugar confectionery such as chocolate, ice cream, biscuits and sweets claiming use of imported industrial sugar that is zero-rated under the EAC rules of origin. The two argued that Kenyan manufacturers were tilting competition in their favour, citing unfair trade practices in the region. Kenya had written to the East Africa Community (EAC) for a one-year window period to ship in table sugar at duty free as a result of low production from drought, something it was granted in July 2017. EAC Common External Tariff dictates a 10% duty on imported sugar from outside the block. A team of experts from both the country send to inspect Kenyan firms has failed to table evidence on the use of zero-rated industrial sugar in the confectionery products, leaving only room for speculations. Despite of interventions from the EAC and the heads of states to end the trade tiff, Uganda and Tanzania maintains restriction of duty-free entry for Kenyan-made confectionery products. Escalating the blame game stand-off, Kenya recently announced new tariffs on Tanzanian wheat flour, claiming production from wheat contravening the zero-rated law of the EAC. The confectionery industry may be headed for tough times ahead following a $0.20 per kilo of sugar was announced by Treasury secretary Henry Rotich about four months ago. The cabinet secretary indicated that the tax would help reduce lifestyle diseases such as diabetes and counter rising obesity cases and in the long run saving billions of taxpayers’ money spent on treatment. Data from KNBS showed that 14,287.6 metric tonnes of sugar confectionery were exported in the January-June 2018 period, a drop of 1,542.9 tonnes compared with the same period a year earlier. The Kenya Association of Manufacturers (KAM) decried tough times ahead given the impact of the sugar tax which is set to hurt the industry. “Recent significant investments in that sector will be hard hit. The excise duty rate of US$0.20 per kilogramme will lead to these costs being passed on to consumers,” KAM chair Sachen Gudka said via e-mail.